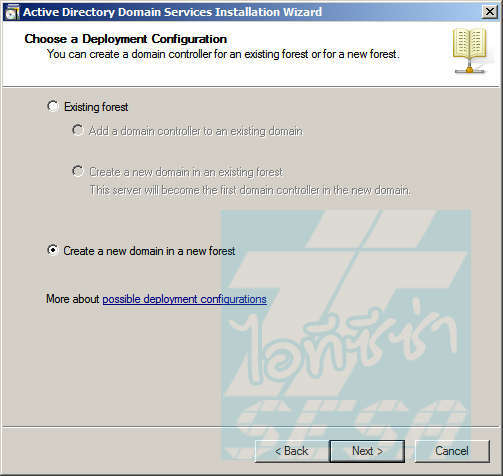 เลือกที่ Start > Run > พิมพ์ dcpromo แล้วกด Enter จะพบกับหน้า Welcome to the Active Directory Domain Services Installation Wizard สำหรับการติดตั้ง Domain Controller ขึ้นมา ให้คลิก Next ไปจนถึง หน้า Choose a Deployment Configuration เลือก Create a new domain in a new forest แล้วคลิก Next. 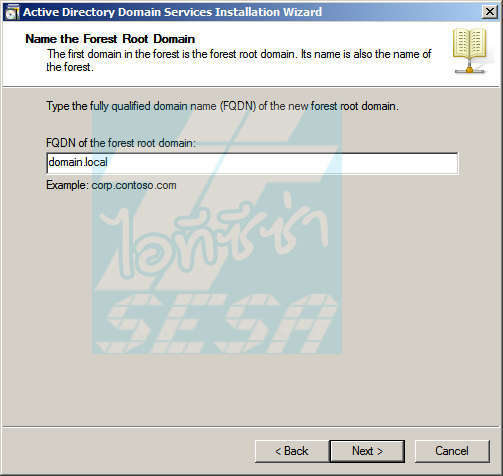 หน้า Name the Forest Root Domain พิมพ์ domain.local (หรือโดเมนเนมอื่น ๆ ที่ต้องการ หรือเป็นโดเมนเนมที่ใช้ภายในองค์กรของคุณเอง) ลงในช่อง FQDN of the forest root domain แล้วคลิก Next. 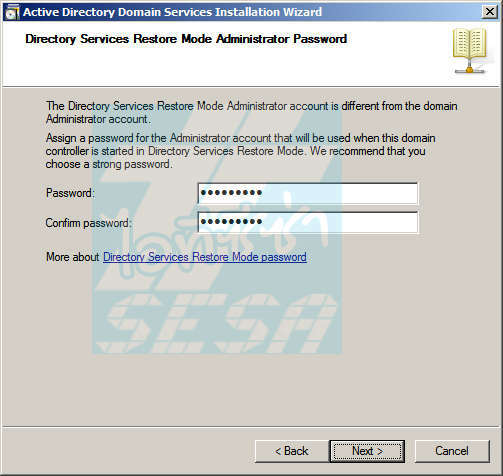 หน้า Additional Domain Controller Options คลิก Next. 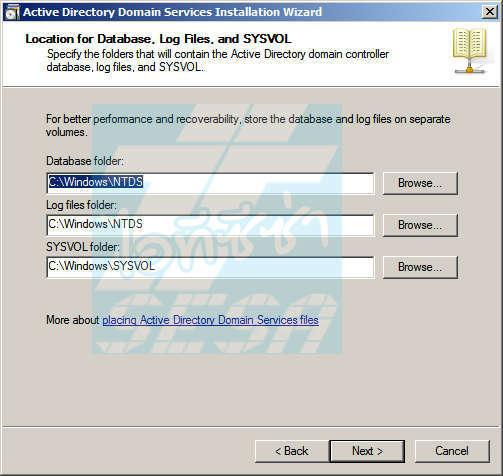 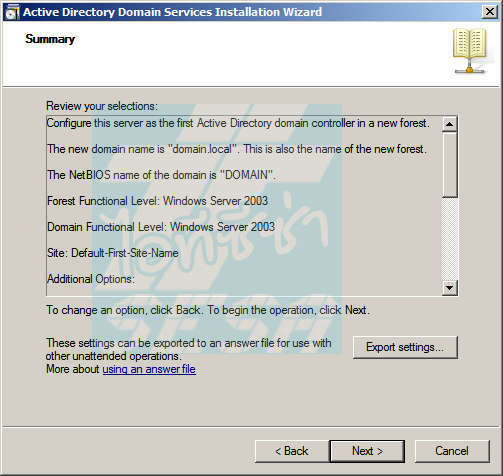 Dialog Active Directory Domain Services Installation Wizard คลิก Yes. 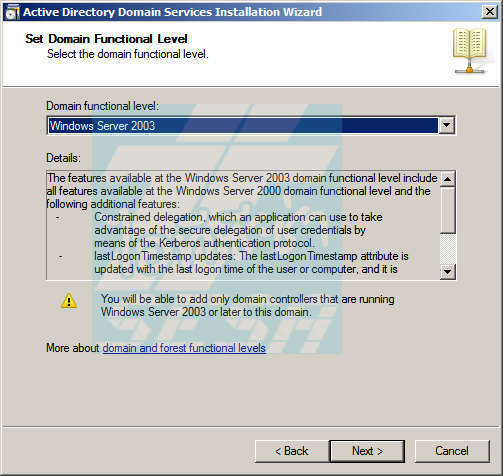 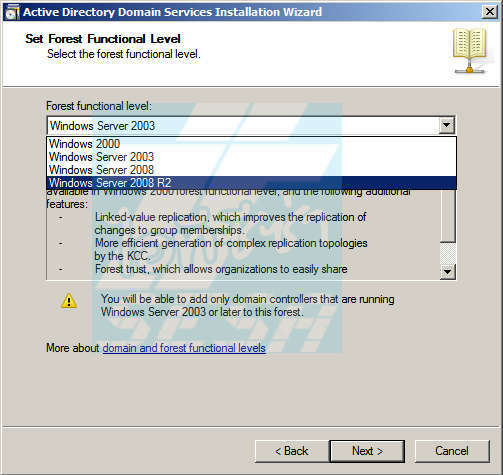 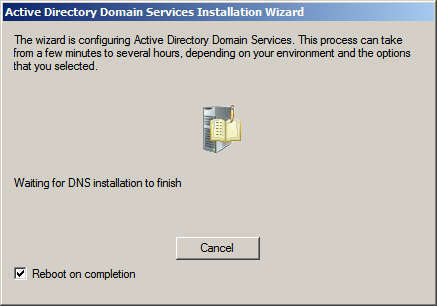 Dialog Active Directory Domain Services Installation Wizard เลือก Reboot on completion.